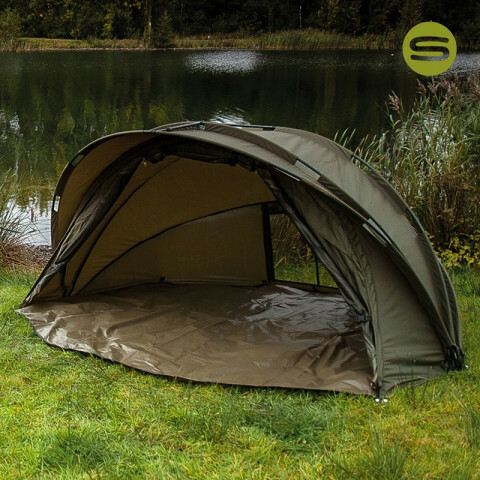 The Saber Supra Bivvy is the complete all year round bivvy system packed with features for the modern day carp angler. 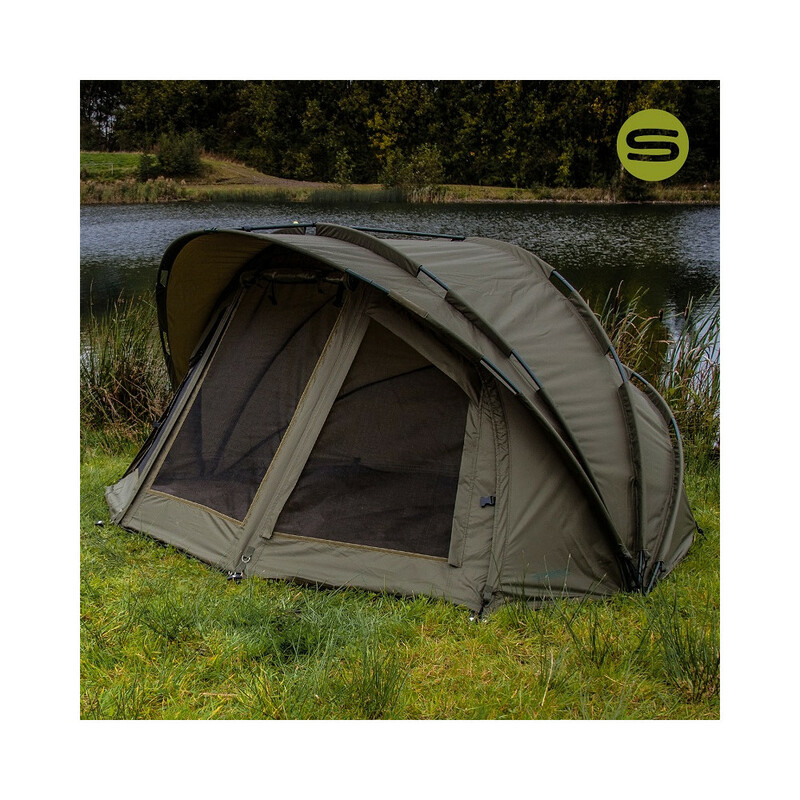 It is possible to fully zip-off the infill panels, allowing for the bivvy to be used as a shelter for warmer months or left on for complete cover in extreme weather conditions. Window panels and rear vents roll back fully to allow viewing from behind and the mossy mesh allows ventilation in warmer conditions. 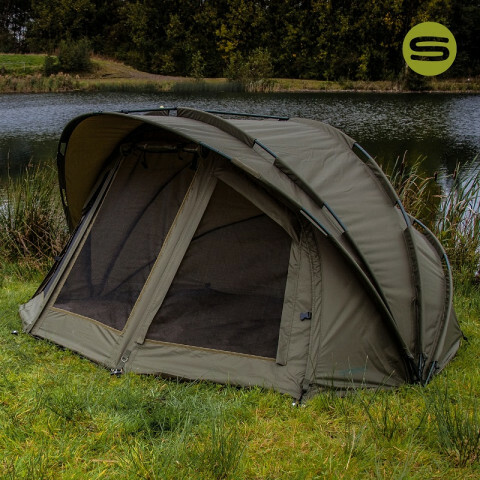 All these features makes the Saber Supra bivvy system the most versatile bivvy on the market. 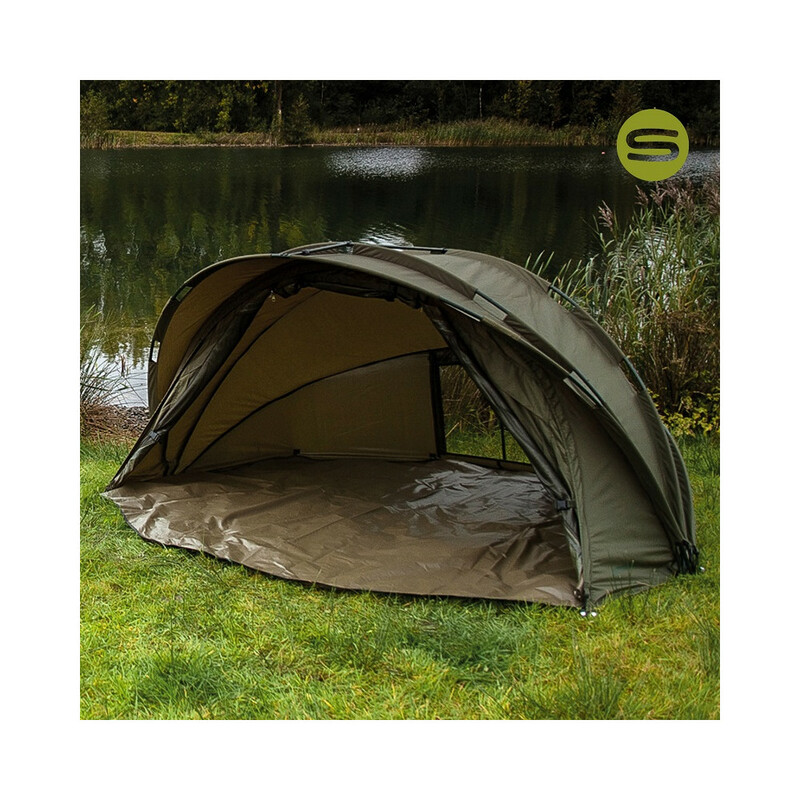 Weight: Bivvy - 5kg, infill panels - 1.5kg, groundsheet - 2.5kg, bag/frame supports - 1kg, total weight - 10kg.